Filled with the expertise and talents of these four musical veterans, The Sheyana Band have proven themselves to be a valuable force in the rock world. The Sheyana Band is led by Tasmanian artist award-winning songwriter, songstress, and electric guitar player Sheyana Wijesingha. Other members contributing to the heart of The Sheyana Band’s core is Scott Mainwaring (lead guitars, vocals), Dan Jeffrey (bass guitars), and Bean Thomas (drums, percussion, and vocals). The Sheyana Band has a distinct sound that rock purists will find intoxicating. The band’s recent single Big Love is one example of their genius in this regard. 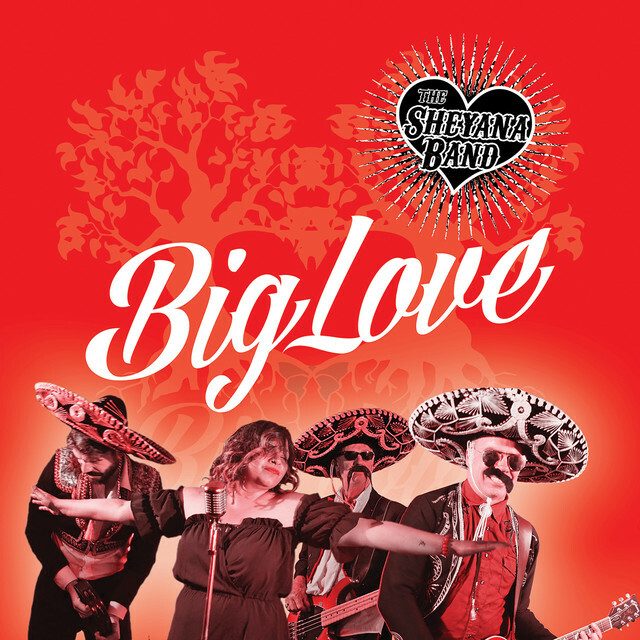 Big Love a is single from The Sheyana Band’s album of the same title. The track explodes with an organic cluster of symphonic elements to fill any listener’s plate. Big Love courts a flirtatious dance between classic and blues elements of the rock music genre. Sheyana’s voice fits like a glove over this nostalgic groove that features a funky lead guitar which will make the mouths of fans and newcomers water from the energy and craftsmanship of this tune. The song’s theme laments over the time when love was simple and free. Big Love by The Sheyana Band breathes life into the aspirations of rock music!